Bitcoin is the most well known cryptocurrency by far, but it's not perfect. In May 2017 scalability issues of Bitcoin were widely discussed. Transaction speeds were slow while transaction costs became expensive with Bitcoin users paying about USD30 per transaction. Bitcoin Cash came about in August 2017 as a hard fork of the Bitcoin network, with the goal of improving scalability. A block in the Bitcoin chain has a maximum size of 1 MB. This can only fit a finite number of transactions inside. The 1 MB limit means that Bitcoin can handle 4.4 transactions a second at most. In order to improve scalability, it was proposed to increase the block size of Bitcoin. There are a few reasons why this is a good idea, but there are also some drawbacks. Bitcoin Cash was the result of this dispute as no agreement could be reached. The Bitcoin Cash camp argued that if the block size was increased then miners would receive more transaction fees because more transactions would fit into a block, so a miner would earn more fees from mining a block. The logic followed that if block size is increased it should also decrease the transaction cost for the users, which would help make Bitcoin more accessible. Members of the Bitcoin community were meanwhile worried that the proposed block size increase would split the community, and the incentive for miners would be reduced due to decreased transaction costs. As a result, the hashrate of Bitcoin could decrease. Additionally, with an increase in network size may come a higher demand for processing power in order to mine Bitcoin. Therefore, centralization would increase as larger mining pools would dominate the smaller scale miners. The ideation of Bitcoin is very much against centraliation. No agreement was reached between the two sides. A hard fork was therefore proposed. Bitcoin would remain BTC and Bitcoin Cash would would forge its own path with a larger block size. When the hard fork happened, Bitcoin Cash was credited to all Bitcoin holders. 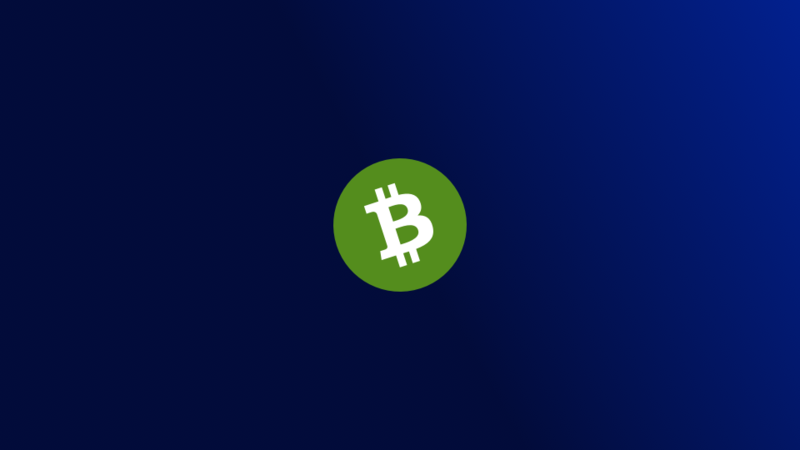 The block size of Bitcoin Cash is currently 8 MB and Bitcoin Cash also does not include SegWit, which is a code adjustment created to try to reduce transaction size by removing certain parts, thereby increasing the amount of transactions that can fit into a block and consequently increasing scalability. A hard fork of a hard fork? Indeed. Agreement in the Bitcoin Cash camp did not last long and a Bitcoin Cash hard fork was completed on November 15, 2018, producing two chains: Bitcoin ABC and Bitcoin SV. This hard fork occurred for the same reason as the hard fork that produced Bitcoin Cash in the first place, which was a disagreement over block size. Bitcoin ABC aims to change the order that transactions are put into blocks in the hope of improving scalability further while opening up the possibility of smart contracts. Bitcoin SV is approaching the issue of improving scalability with a further increase in block size. A larger block size allows Bitcoin SV to fit more transactions into a block, so more transactions can be processed at the network level while the time to create a block stays the same. Roger Ver was an early investor in Bitcoin and the founder of Bitcoin.com, of which he is still the CEO. Roger is a well-known figure in cryptocurrency and has a lot of influence. Roger began in the cryptocurrency space as a key advocate of Bitcoin, but over time transitioned to become more of a critic, shifting his support to Bitcoin Cash. Jihan Wu is co-founder of Bitmain, one of the largest Bitcoin mining pools. Jihan has a lot of influence over the Bitcoin community because he controls a large amount of the hash rate. Jihan is openly in support of Bitcoin Cash and often debates Bitcoin developers on social media. Craig Wright is a prominent figure in the cryptocurrency community. He claims to be Satoshi Nakamoto, the creator of Bitcoin. Craig has a lot of power and influence in the crypto space, and he is an advocate of Bitcoin Cash. More recently, Craig was part of the team behind the Bitcoin SV fork.